When visiting a new country there's so much to be said about embracing the new culture at every given chance, and experiencing a truly authentic stay. When visiting a new country there's so much to be said about embracing the new culture at every given chance, and experiencing a truly authentic stay. Villa Dearheart is a warm and welcoming beachfront coral-stone Villa, built in a traditional Barbadian style - so you can truly immerse yourself in a unique, inspired stay. This Villa is located on the renowned Gibbes Beach in Saint Peter, in fact, this stunning beach is right at the edge of your backyard, just walk through the gate and feel the sand in your toes. The three bedroom home is the ideal getaway for friends or families seeking a well-located home away from home. Whether guests are relaxing in the living room reading a book, cooking up a feast in the living room or playing board games at the dining table, the open plan living space allows optimal quality time together. There's plenty of space for all holiday makers to sit together come movie night or game night. The three bedrooms in the home are all located on the upper level, two of the rooms share a bathroom while the master has its own en-suite. All three rooms offer air conditioning, so you can get a restful slumber. Considering the home has such a prime location, it's no surprise that the exterior is equally as stunning as the interior and well and truly takes advantage of the location. Whether you're enjoying alfresco dining or watching the sunset at the outdoor dining area or sitting in the private plunge pool, there's plenty to keep you happy. The beach is just a hop, skip and a jump away, and the home away from home is warm and offers authentic Barbadian influence - what more could you want? Villa Dearheart is 3-bedroom villa, that has immediate access to Gibbes Beach. After a quick dip in the private plunge pool in the morning, enjoy breakfast from either the garden area, outside dining facility or one of the villas two balconies. Barbados is a popular holiday destination, namely due to the renowned beaches, stunning sunsets, tropical climate and welcoming locals. After all, day upon day of relaxing at the beach combined with good food and friendly locals, it's a recipe for the perfect tropical retreat. This villa is located on the West Coast at Gibbes Beach, a renowned beach that boasts crystal clear waters and stretches of golden sand - whether you're enjoying the sun from your lounger, taking a dip or at one of the nearby beach bars, there's something to for everyone's idea of a ‘perfect holiday'. 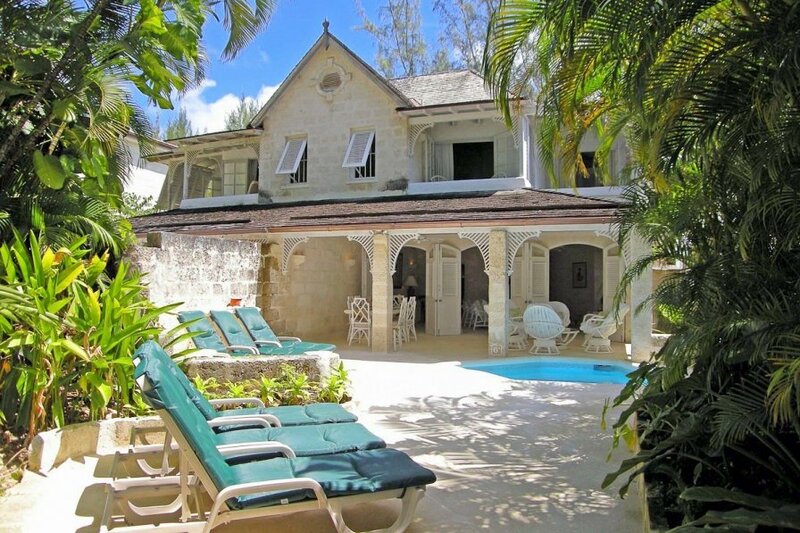 This villa is a short drive from Speightstown, one of the island's major towns that has a rich, long history and plenty of character. The town, which is also known as Little Bristol, is the second major town in Barbados and is also one of the busiest ports. Bridgetown, the country's town centre, is slightly further away but well worth the trip to experience a UNESCO-listed town. The Villa is also near many of the most beautiful beaches in Barbados, including Mullins Beach, Accra Beach and Paynes Bay. Many of these beaches offer facilities such as changing rooms, bathrooms, restaurants and beach bars, so you can stay on the beach long after the sun goes down.